Posted on March 12, 2013	by Rachel L.
*** Note – This post is from 2013, for more current posts on customer service, check these out. Knowing proper questioning techniques is essential in customer service to completely understand a customer’s situation. 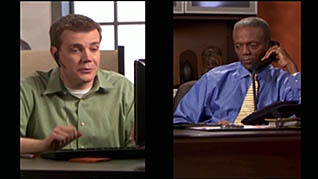 The training course, “Questioning Techniques: 7 Methods to Obtain Better Information and Solve Problems,” relays these essential techniques in ensuring customer satisfaction. Closed-ended questions; these questions focus on one specific area and confirm facts, usually create “yes” or “no” answers. Probing questions; another type of open-ended questions, but instead of being broad they focus on one specific area. These are valuable to getting to the heart of the problem, using aided recall – which offer possible answers to the questions asked by the employee for the customer to recall upon. Echo questions; this technique takes the last part of the customer’s phrase, restating it to them and raising the voice inflection at the end of the phrase to turn it into a question. This allows the customer to provide more information to clarify the question being asked. Leading questions; suggestive nudges which lead toward a desired answer. It is important to be mindful that these questions can create a manipulative sense, and nudging a customer toward an answer is only ethical if it is right for that customer. 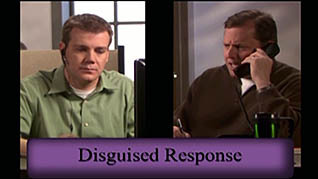 Interpreting Disguised Responses; the customer is eager to explain the problem or situation they have encountered, though the customer may start by blaming the organization for their frustration, it is the employee’s job to apologize and ask them to explain the situation which will help find out the root cause of the issue. Asking questions demonstrates to the customer you are recognizing their unique needs and shows you are interested in their well-being. Make sure you are empathetic to customer’s needs and mindful that they are expecting you to help correct issues or questions regarding your organization. This entry was posted in Business Skills Training, Communication, Workplace Training and tagged business skills training, communication training, customer service training. Bookmark the permalink.